1. 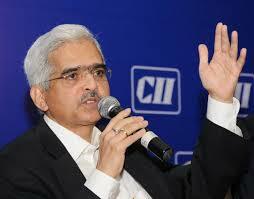 Shri Shaktikanta Das, IAS (TN:1980), Secretary, Department of Economic Affairs, for a period of three months w.e.f. 01.03.2017 to 31.05.2017. 2. 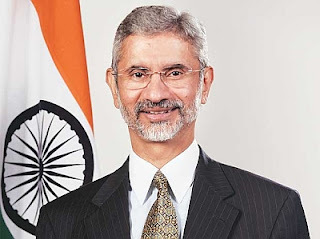 Dr. S. Jaishankar, (IFS:1977), Foreign Secretary, for a further period of one year w.e.f. 29.01.2017 to 28.01.2018. 3. Ms. Anshu Sinha, IAS(MH:99) to the post of Chief Executive Officer (CEO) (JS level), Khadi & Village Industries Commission (KVIC), Mumbai under the Ministry of Micro, Small & Medium Enterprises for a period upto 29.01.2019 i.e. her overall combined 07 year central deputation tenure vice Shri Arun Kuma Jha, IES(1985). 4. Smt. Rina Mitra, IPS (MP:83), Special Director General, BSF to the post of Special Secretary (Internal Security), Ministry of Home Affairs consequent upon the superannuation of Shri M.K. Singla, IPS (KL:82) i.e. on 01.03.2017. 5. Shri Manoj Pande, HAG/RPS to the post of Additional Member (Staff), Railway Board in the grade of Rs.75,500-80,000/ with effect from the date of his assumption of charge of the post and until further orders.